15 Reasons B2B Content Marketing Fails – #7 Not being BOLD enough! Writing B2B content for your audience can be daunting enough, but trying to be bold too! You are probably saying, “Give me a break”. It is hard enough trying to come up with the right content, never mind trying to be bold about it too. But first, I should define what I mean by bold. Most of your competitors will write about their own company, and what they do. Of course, this has to be done. You need to tell people what you do, and possibly how you do it. If you don’t tell them what you do it, they won’t know if you can help them. However, this type of content is on your products’ and services’ pages. And you should be telling them the benefits they will receive by buying and using your products and services. Absolutely! But the type of content I am writing about here, is blog content, white papers, reports, etc. 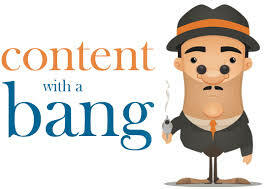 And you need to find a way to write content here that sets you apart from your competitors. So how do you do that and be bold? There a number of ways. But I suggest that you initially focus on two factors to base your articles, videos, white papers, etc. on. 1. Answer questions that your potential clients will search for. 2. Be bold and controversial on topics that you are passionate about in your business. There are two ways to attack number 2. 1. Be bold; find articles in your niche that other people are writing about that you disagree with. You can find an example here that I wrote about that got a lot of views, comments, and social media mentions. The title is Inbound Marketing is an absurd term! 2. Write about topics that others will find interesting, and that set your company apart from your competitors. Here is another example I wrote about. What do Hockey Fights and B2B Marketing Have in Common? So be BOLD. Let people know why your company is different, and not afraid to take a stand. Let them know what you stand for, and what you believe is not right.